If you’re looking for some great nights out then we’ve got some great news from the team over at Venue Cymru in Llandudno of some superb shows that are making their way to the theatre. With the nights slowly getting lighter and, although the temperatures haven’t risen just yet, there are definite signs that Spring is around the corner. To welcome the change in season Venue Cymru has a schedule packed with an abundance of music, dance, drama, comedy, sport and all the best in family entertainment. CRAZY FOR YOU. 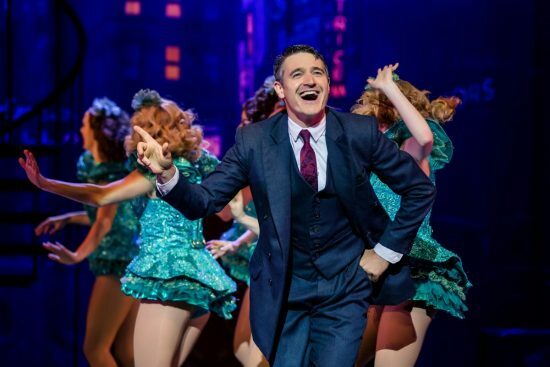 Tom Chambers ‘Bobby’ and Company – Richard Davenport. Another season of fabulous musicals is looming, high kicking off with the gloriously glamorous Crazy For You. The irresistible feel-good Hairspray guarantees to have you dancing the night away whilst Son of a Preacher Man is a new musical, directed and choreographed by Craig Revel Horwood, featuring all the greatest hits of Dusty Springfield and will have you laughing, crying and singing your heart out. 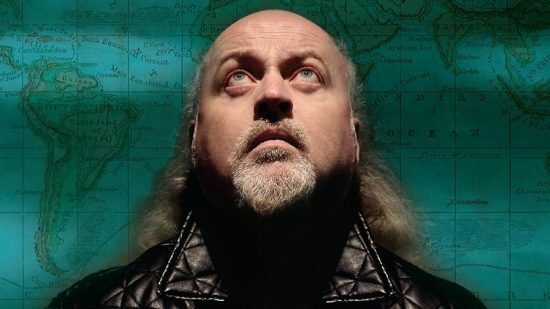 Comedy fans will be spoilt for choice with Bill Bailey and his ‘Larks In Transit’ show, Sarah Millican being a ‘Control Enthusiast, and the Re: Birth of Russell Brand. The legendary Jasper Carrott wants everyone to ‘Stand Up and Rock’, Milton Jones is ‘Out There’ being the perfect antidote to the world’s troubles, the master of the one-liner Tim Vine is back with his ‘Sunset Milk Idiot’ tour while Ed Byrne promises a ‘Spoiler Alert’. For all the music lovers there really is something for everyone, from the premier Rock ‘n’ Roll legend Joe Brown to Smokie, one of the most successful bands in the world today, while The Bootleg Beatles meticulously cover every detail of the Fab Four’s journey through the Sixties. Throw in a welcome return from the Manic Street Preachers and a first-time visit from one of Britain’s most successful songwriters, Gary Barlow, there is enough to tickle even the fussiest of musical taste buds! Tiddler & Other Terrific Tales is the perfect way to introduce younger children to the world of theatre, where you can also go on an exciting camping trip in Peppa Pig’s Adventure, a brand new live stage show full of games, laughter and live music. 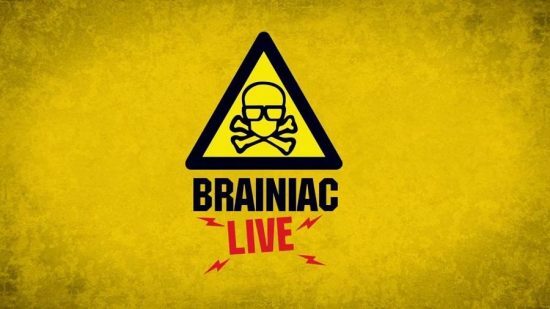 For something completely different including exploding dustbins, combusting microwaves, and loads of daredevil stunts, Brainiac Live! allows you to watch the Brainiacs delve fearlessly into the mysteries of science. There is also plenty of family entertainment hitting the stage too, from Britain’s best-loved psychic Sally Morgan bringing spooky insights to her audience to joining the nation’s favourite ballroom couple Anton & Erin with their new 2018 show celebrating the golden age of Hollywood. The explosive action comes in the form of LDN Wrestling whilst the best snooker players on the planet return to Llandudno with World Snooker’s Players Championship. For all the opera lovers out there Welsh National Opera treat us to a feast of Italian opera for their Spring season, including the classic Tosca and Don Giovanni. A season well and truly bursting at the seams at Venue Cymru, check out www.venuecymru.co.uk for more information on all the shows and to book tickets. Tickets are also available via the Box Office on 01492 872000, don’t miss out!